Friend Frank Patton? ; Robert E. Williams; Frances Williams; Gerald Surface; Stella Jinks Coleman Williams, Thelma Williams Warner; Charles E. Williams; child Peggy Warner Byrd Stella Jinks Coleman, d/o Mary B. Jenks Geyer and James Coleman, b 8 Jan 1887 Franklin Co, d 6 Sep 1965 Fayette Co; m Charles Edward Williams 19 July 1904 Brookville. Charles Williams, b May 1882 Franklin Co, d 23 July 1951 Fayette Co, was s/o Sarah J. Russell and George W. Williams of Franklin Co. Children of Stella and Charles were: Thelma Elizabeth (Warner) 1906-1989; Frances Katherine (Surface) 1909-1975; James Alphonso 1912-1956; Gail Eileen (Frank) 1915-1959; Robert Eugene 1918-1983; Billy Lee 1926-1926.
circa 1894 The three girls are (L-R) Evalyn b.1889, Kathryn b.1886 and Hazel b.1891. The baby is Roy b.1893. 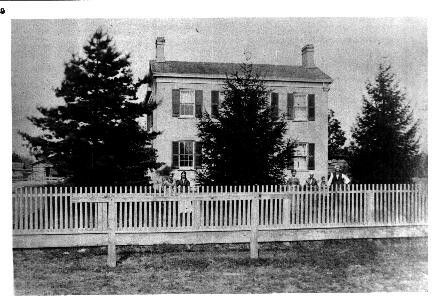 George Personette owned several sawmills around Franklin County, including one in Fairfield. 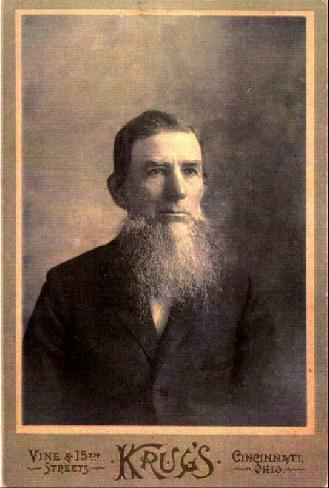 Photo courtesy of Ann John and Martha Batzner John Batzner b. Feb 1838 in Franklin County. Died 1922 in Nehalem Oregon.Parents: Frederick Batzner & Anna Maria Killgus, Emigrated from HallwangenWurtemburg in 1837. Martha Ann Hudson b. June 1842 in Franklin County.Died in 1911 in Webb City, Missouri. 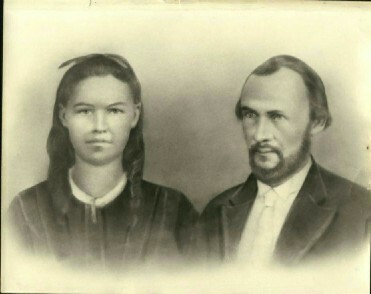 Parents: William Hudson & MaryWhitney. Photo courtesy of Lois Lynn Samuel Tilden and Jessie Myrtle Murphy Crawley Picture taken circa 1906--Parents of Flossie, Mildred and Forrest Crawley.Sam Crawley was born in 1876 and died in 1957.Jessie Crawley was born in1882 and died in 1959. Photo courtesy of Lois Lynn Sam and Jessie Crawley Picture taken circa 1955 at the home of their daughter Flossie. 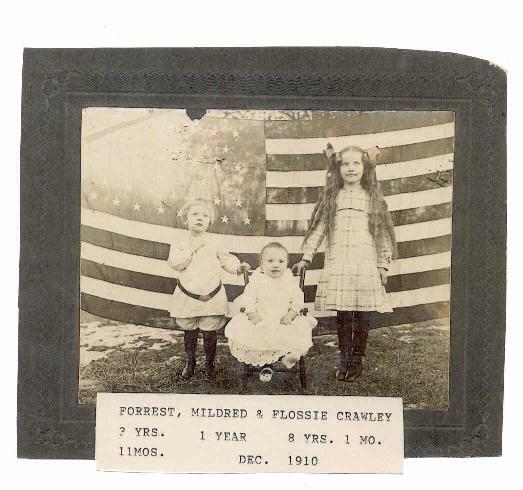 Photo courtesy of Lois Lynn Flossie Crawley Lynn, Mildred Crawley Maze, Forrest Alfred Crawley Picture taken circa December, 1910--resided in Blooming Grove Twp.Flossie Crawley was born 1902 and died in 1975. 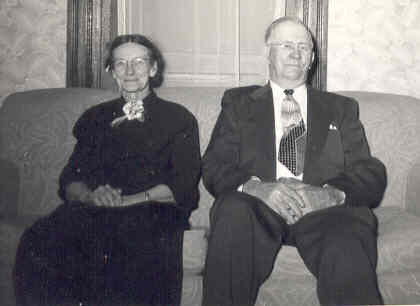 Forrest was born in 1907and died in 1977 and Mildred was born in 1909 and died in 1993. 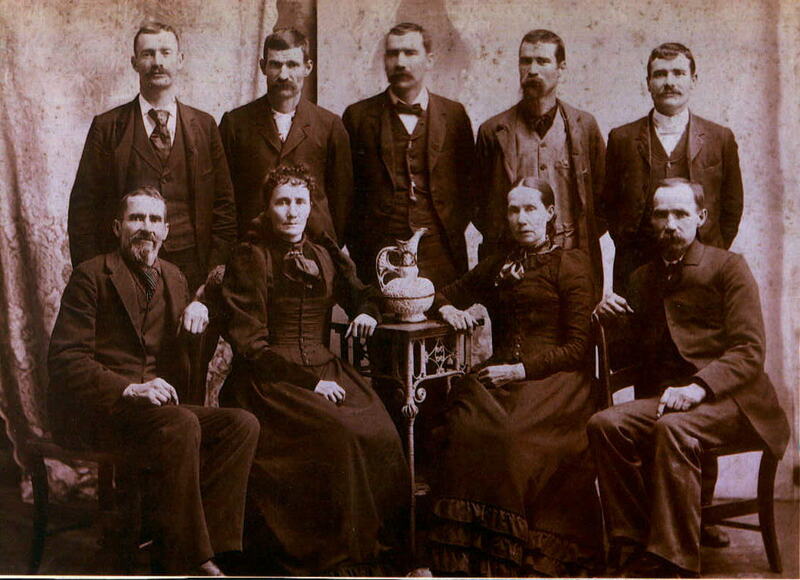 Photo courtesy of Jim Johnson Russell Family Children of David and Hannah (Seal) Russell, taken in 1894 after theyhad gathered for their mother's funeral. 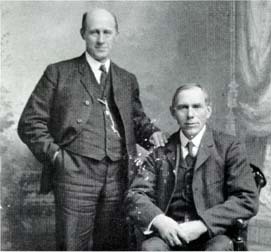 Standing, left to right: RobertC. Russell, Charles E. Russell, Jonathan G. Russell, Enoch H. Russell,Francis M. Russell. 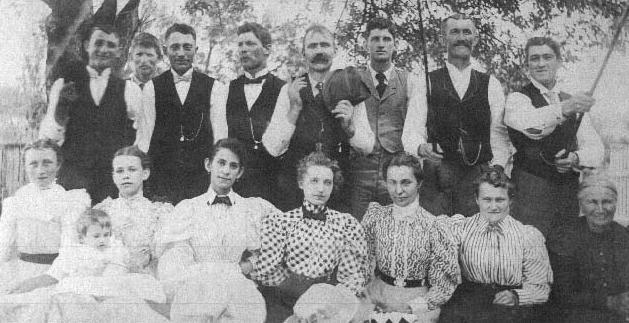 Seated, left to right: John B. Russell, Hannah IsabelleRussell Klemme Stout, Mary Russell Eldon, David C. Russell. 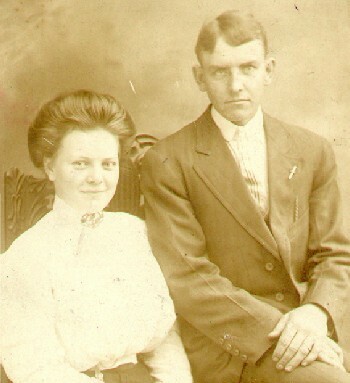 Photo courtesy of Joan Stark Gus & Gert Riedeman August J. Riedeman b.8/31/1887 married 8/7/1912 Gertrude M.Haverkosb.6/16/1893 Lived in Franklin Co., until 1938. Photo courtesy of Joan Stark Haverkos family On the occasion of 85th birthday of their mother. 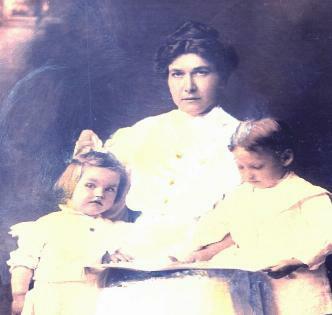 Photo courtesy of barmar1@gte.net Rose Etta & Mattie Nabb Both born in Franklin CO., IN. 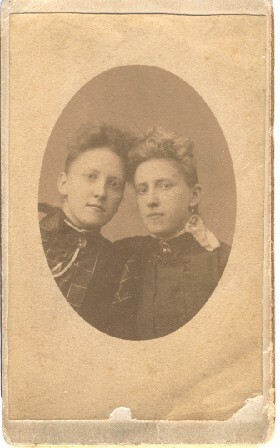 The daughters of John H. & CharlotteNabb. Photo courtesy of Dolores Wagner Josephine and William Quick William Gipson Quick born 1835 in Rush Co., Indiana, son of ElijahQuick and Mary "Polly " Sailors Quick of Franklin Co., IN. and his wifeJosephine Wilkins born Abt. 1849 , daughter of WSF Wilkins and Unknown. Photo courtesy of Cindy K Chapman Family. 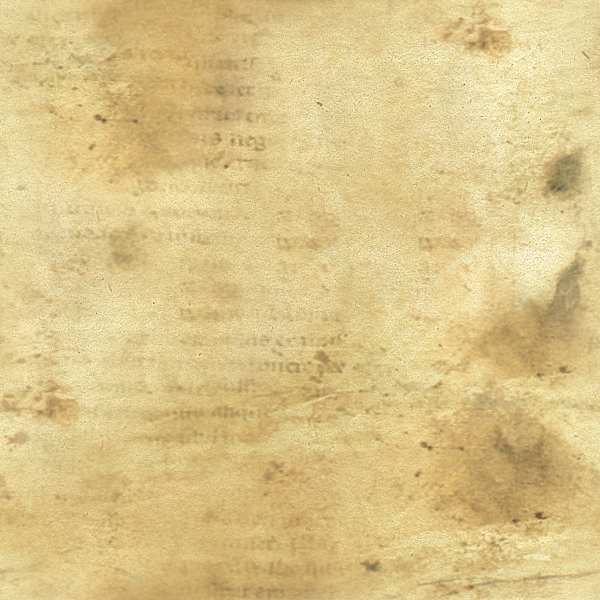 Frank, Fred, Arrena, Bill, Omer. 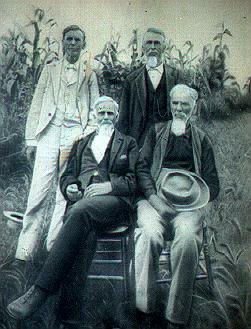 Frank, Fred, William and Omer areson's of Arrena & Thomas Chapman. Thomas. Photo courtesy of Bob Zins Wedding Picture of Edward John Zins and Elizabeth Catherine Schroeder,1906, Cincinnati, Ohio. 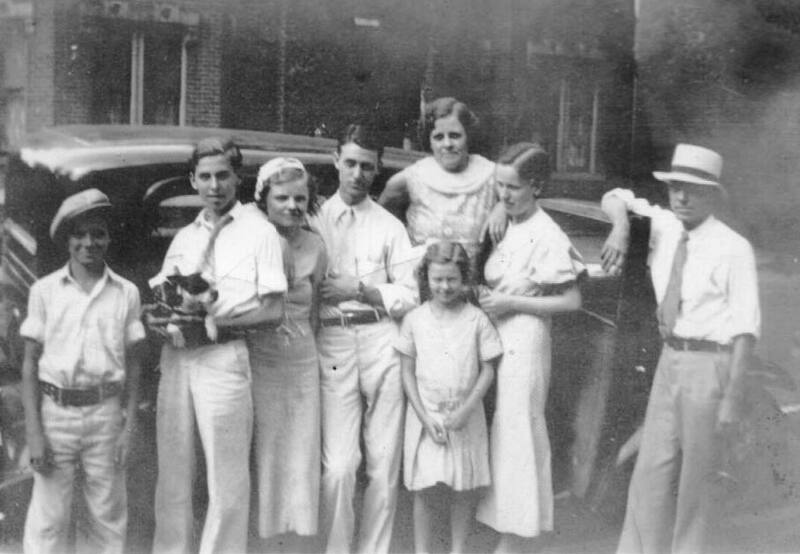 Edward was born 6 April 1884 in St. Mary's, Franklin County, Indianaand died 26 Feb 1964 in Youngstown, Ohio. 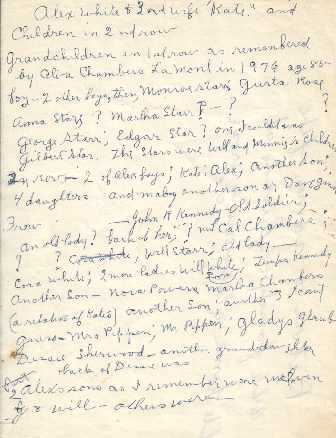 He was the son of Jakob Zinsand Mary Elizabeth Weber. Elizabeth was born 5 March 1885 in St. Mary's,Indiana and died 28 Apr 1915 in Cincinnati, Ohio. She was the daughterof Herman Louis Schroeder and Maria Elizabeth Schwegmann. 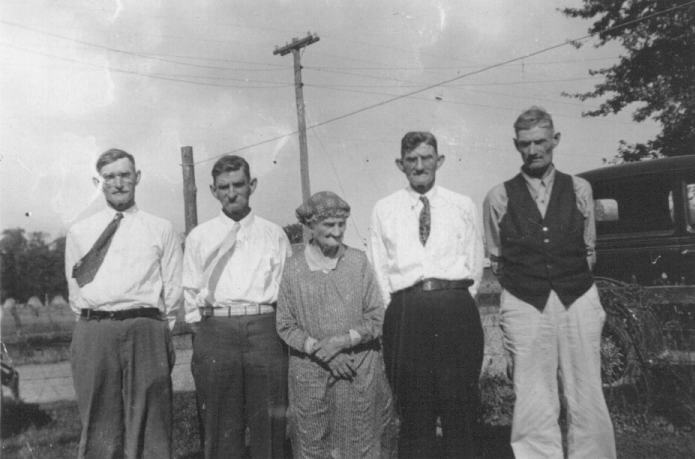 Photo courtesy of Ellie The Portteus Family Home The Portteus family came to Franklin County from Enniskillen, CountyFermanagh, Northern Ireland in abt. 1819. Albert Pierce is a half-brother to Arvilla and Martha. Arvilla marriedtwice, first to Grant Curry and second to William L. Chambers, youngestbrother of Lewis Calvin. Karen T. Three members of the Joseph J. Schmitt family, taken c.1925. 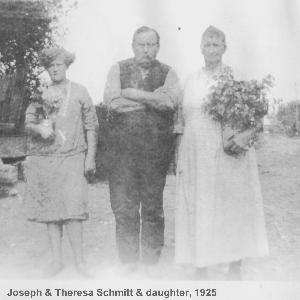 To theleft is an unidentified daughter, looks to be a teenager, then Joseph inthe center and his wife, Theresa Voskoetter Schmitt to the right. 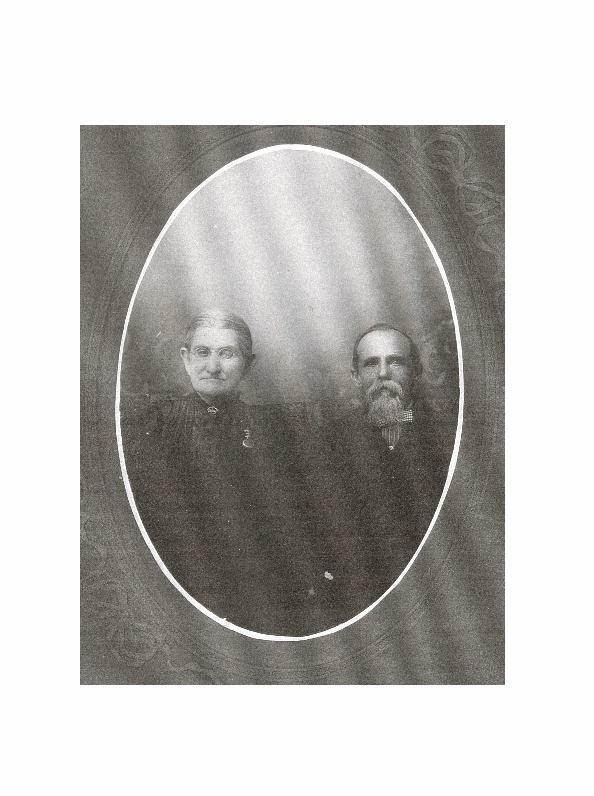 Joseph J. Schmitt was the son of George Schmitt and Susanna Wisselborn 4 April 1858 in Indiana. 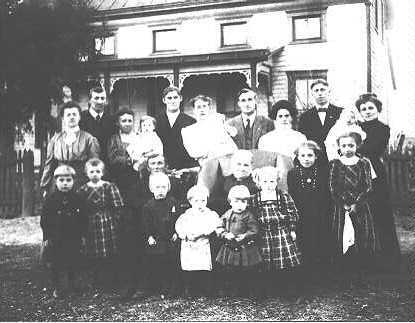 He married Theresa Voskoetter 10 April 1888and had 15 children and fostered 3 more. He farmed in Highland Twp. untilhis death 21 May 1929. 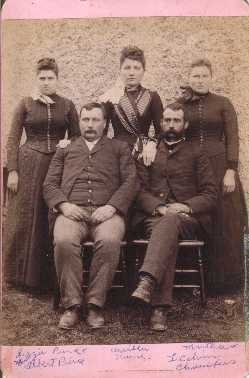 Theresa Voskoetter was born 25 Dec 1867/1869 toHerman Voskoetter and his wife, Elisabeth Meyer. Theresa died 24 November1941 in South Gate rural. 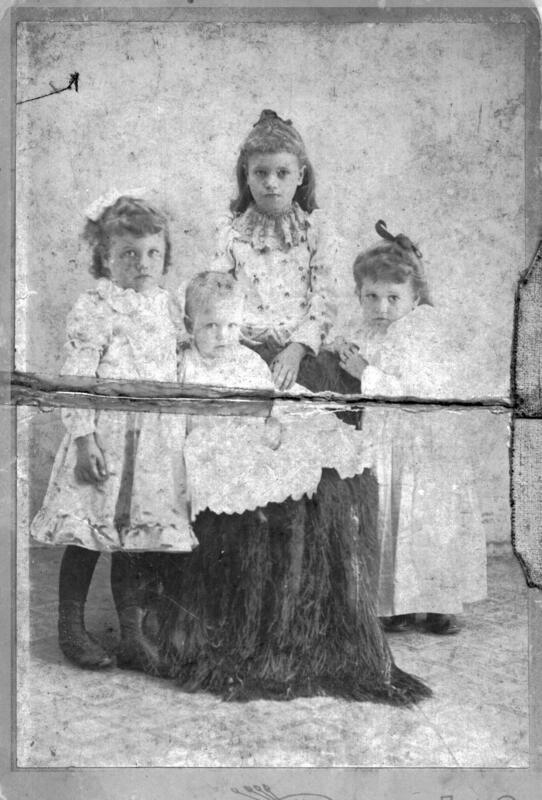 Photo courtesy of Dinah Pascal-Corpus Christi, Texas Nettie W. Stewart Heasom Lee and her children Nettie W. Stewart Heasom Lee and her children, Loren Stewart Heasomand Wilma Blanche Heasom, about 1908. Nettie was born March 11, 1874, inBrookville, the daughter of Jacob M. Stewart (b. 1851-IN) and Harriet J(Hattie) Godwin Stewart (b 1853-IN). 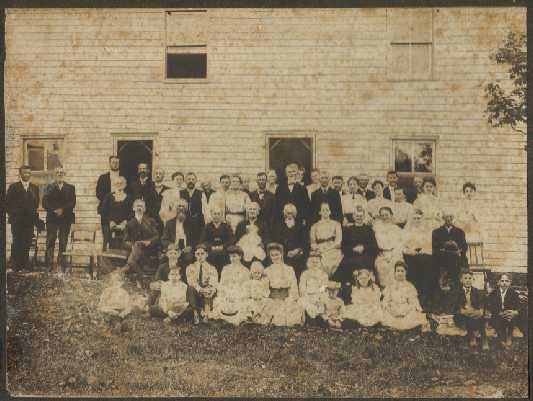 Nettie was a member of the BrookvilleMethodist Church where she was married to William Henry Heasom (b 1871-Brookville)on December 7, 1898, by the Reverend John H. Carnes. Loren was born inBrookville, 8-21-1902 and Wilma on 3-19-1904, in Coffeyville, Kansas. Nettieand William are buried in Brookville. Photo courtesy of Norma Adams, Middletown, Ohio Werner Family This is a picture of Mathias and Regina Werner, and their family, takenabout 1910. They lived just outside Oldenburg, Indiana. 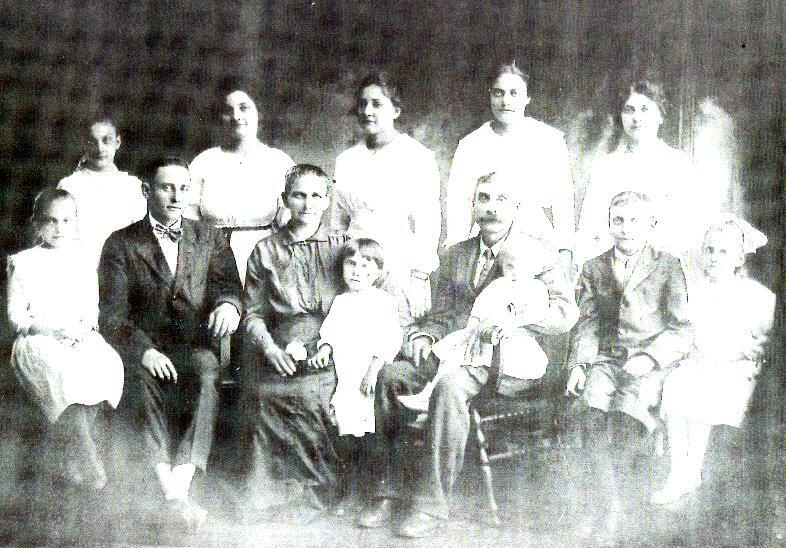 Mathias and Reginaare seated, surrounded by their grandchildren. 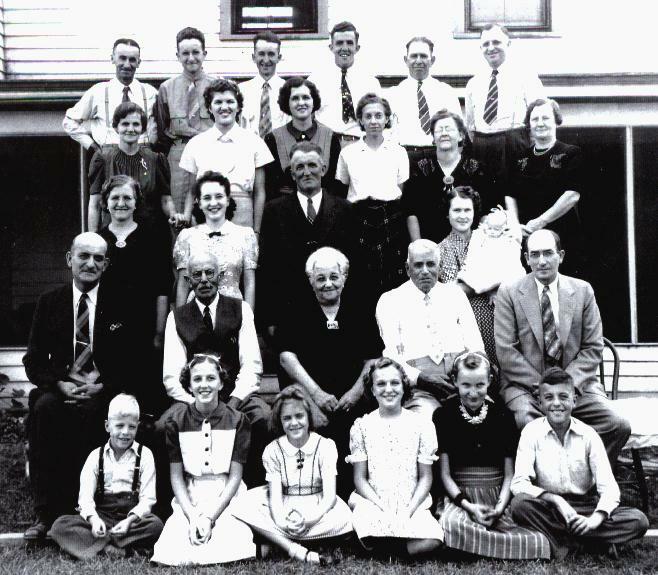 Standing, in the back row,from left to right is Lena,who married Thomas Elia; Louis and Cecelia LangWerner, holding my Dad, Harry; Jacob and Elizabeth Nunlist Werner; Frankand Margaret Becker Werner; and Harry and Theresa Werner Luers. George, born June 23, 1868 in St. Peter's died August 4, 1957--Mary(Metz) born September 21, 1870 and died August 8, 1957. 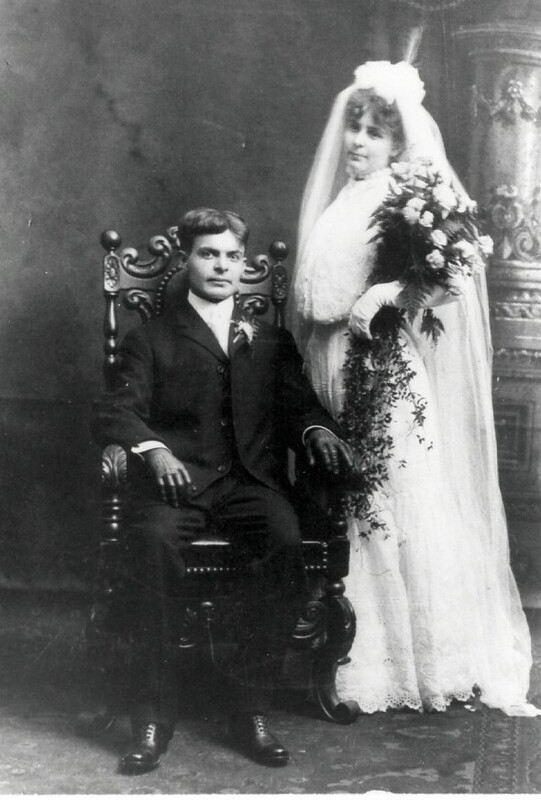 They were marriedJune 16, 1891 in St. Peter's. 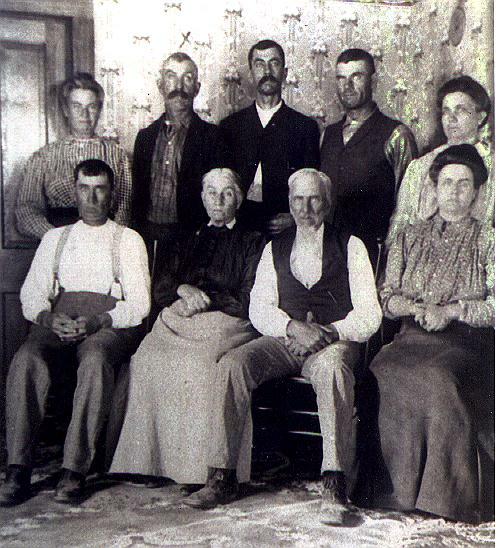 Photo courtesy of Donald Bohrer-Minnesota Jacob Bohrer and his brother Fredrick Pioneers Jacob Bohrer and his brother Fredrick were born in HighlandTownship, Franklin county in the 1840's. 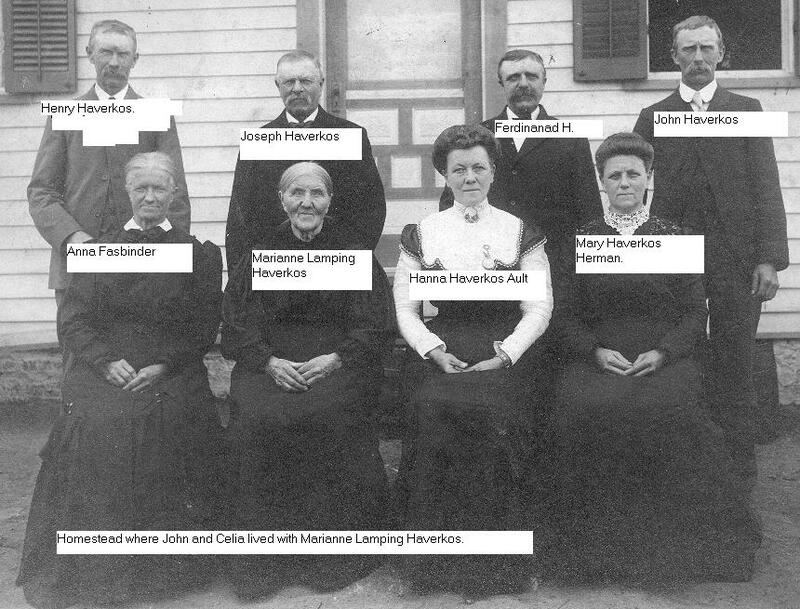 Their mother Katherine Bohrerdied in 1854 and is buried at Zion Lutheran cemetery. 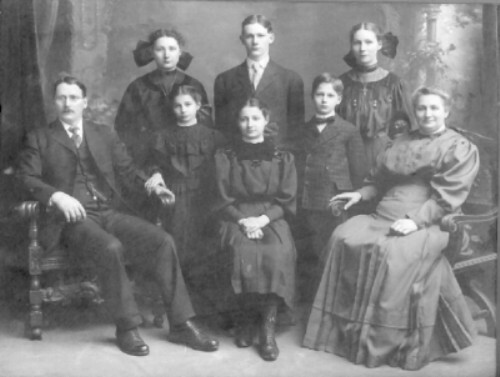 The two brothersalong with their sister Rosina and father George moved to Minnesota in1856. 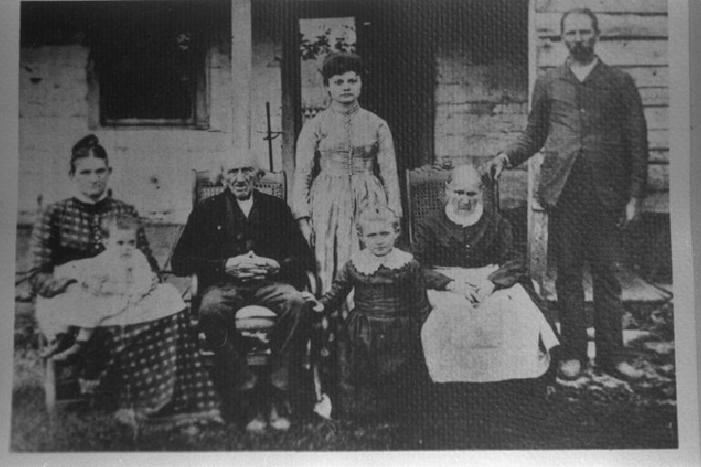 Photo courtesy of Patricia O'Conner The Fread Family The older couple are Samuel and Sarah (Spradling) Fread. Samuel wasin Franklin Co. by 1807, Sarah came about 1820. The other couple are Samueland Sarah's son Enoch Franklin, his wife Judith (Hudson) and their twosmall daughters, Stella and Lulu. The older girl standing in the backgroundis Cora, daughter of another son, Thomas Fred. The picture was taken about1889.